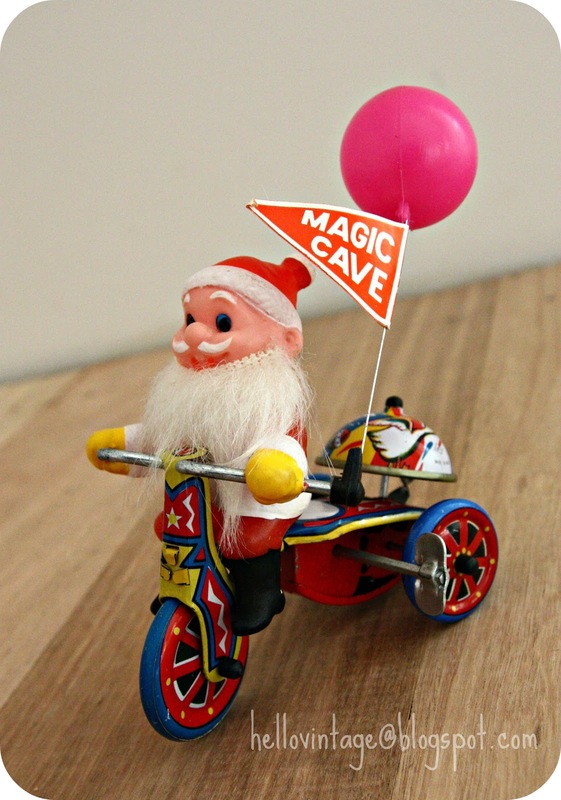 I couldn't believe my eyes when I found this little Santa for $6 in the glass cabinet at the front of a local op shop. He is like new and he is from the MAGIC CAVE John Martins era! This Father Christmas toy was originally purchased at John Martins Magic Cave for $1.35 (still has the price on it!). So glad I found him. John Martins was an iconic department store in Adelaide, South Australia that opened in in 1866 and closed in 1998. John Martins would hold the famous Adelaide Christmas Pageant every Christmas (starting in 1933). 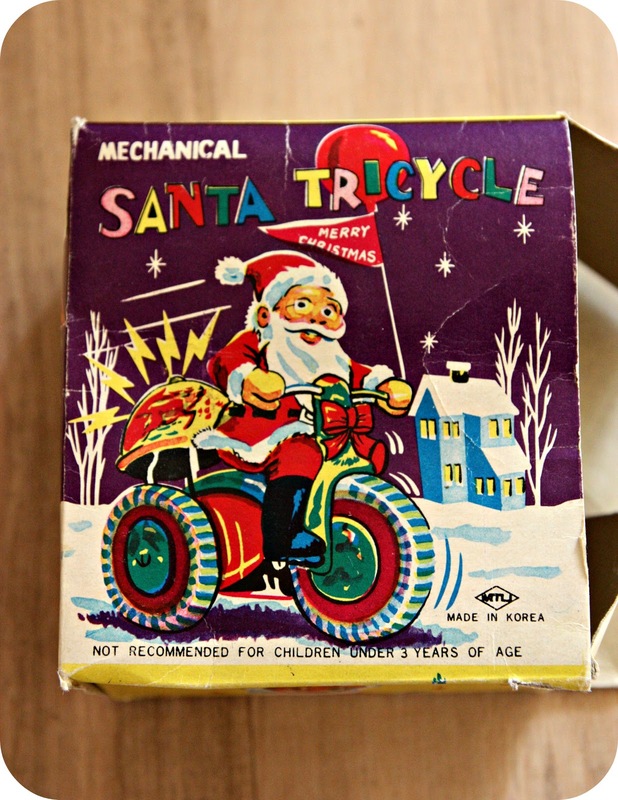 It still runs to this day but it is now the Credit Union Christmas Pageant. Once Father Christmas has appeared in the pageant he would set up in the Magic Cave at John Martins (or Johnnies as it was known). When we were kids we would visit the 'Magic Cave' and have a ride on Nipper and Nimble the huge rocking horses that featured in the pageant, get a pic with the big man and wander around the Magic Cave checking out the crazy mirrors and animated Christmas scenes. The Magic Cave is now located at David Jones but hasn't really changed a lot from when I was young. 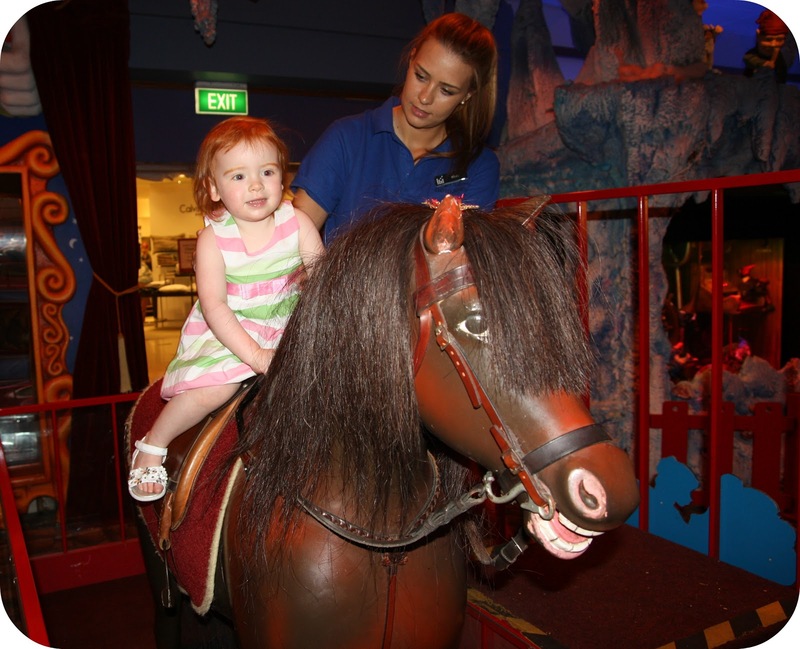 This year Little Miss enjoyed her first ride on Nipper the smaller of the two horses. Christmas starts in Adelaide once the Christmas Pageant has been. This old footage is fantastic (apart from some politically incorrect costumes in there). My favourite (and many others favourite) in the pageant is Nellie the elephant. Best known for breaking down in the early days. She is powered by a vintage car engine. Her story below is quite interesting and worth having a look (don't worry it's short).